Tip the fusilli into a large pan of boiling salted water and boil for 10 minutes. Throw in the spinach, stir well and boil for another 2 minutes. Drain into a colander or sieve and leave to drip-dry. 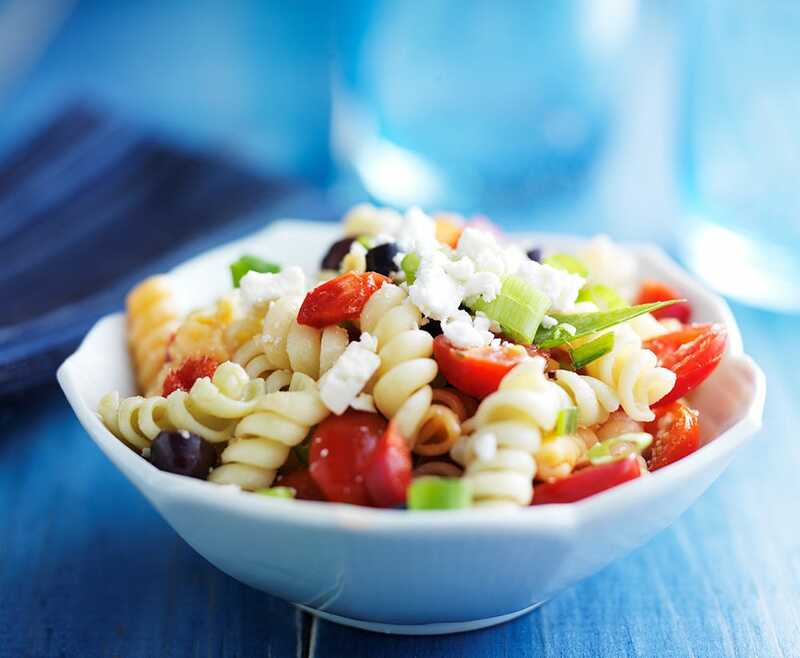 Tip the tomatoes, olives and feta into a big bowl, grind lots of black pepper over and then drizzle with the olive oil. Toss in the drained pasta and spinach. Mash the brown sugar with 4 sprigs of mint. Add a little apple juice as you mash. 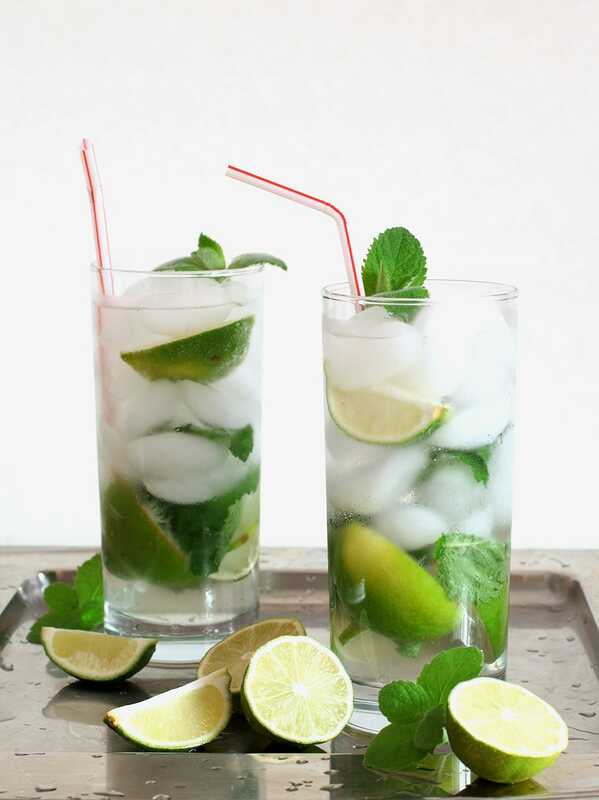 Add the rest of the apple juice, lemonade, 4 sprigs of mint and half the lime juice. Add two lime wedges to serve. Dont forget to break out your BBQ and try these fantastic recipes too! Compete your special look with our summer limited edition colours!